Loyd Grossman, Chair of The Royal Parks, will today unveil a permanent memorial dedicated to the 24 Royal Parks and Palaces staff, and to all parks, gardens and grounds staff from across the UK, who died in the First World War. The memorial will be unveiled at a service in Brompton Cemetery, West London, in partnership with The Royal Parks Guild and The Royal Hospital Chelsea, and the specially-inscribed memorial stone will be permanently placed on the wall of one of the cemetery’s colonnades. The service will be conducted by the Reverend Canon Anthony Howe, Chaplain to the Chapel Royal, Hampton Court Palace – the gardens of which were managed by The Royal Parks during World War 1. 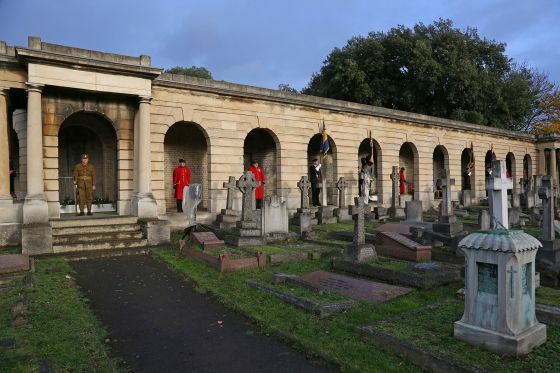 Chelsea Pensioners will also lay the foundations for a permanent wildflower meadow at the site of the Chelsea Pensioners’ monument in the cemetery, to honour the 2,625 Pensioners buried there. The meadow will be based on a seed list, provided by Kew Gardens, of the flowers which sprang up in French fields after the Battle of the Somme and will include poppies, cornflowers, loosestrife, mallow and cranesbill. The initiation of the meadow will be led by the Reverend Steven Brookes, Chaplain of The Royal Hospital Chelsea, assisted by The Royal Parks Trustee, Wesley Kerr, together with Chelsea Pensioners, horticultural students and Liverymen from the Worshipful Company of Gardeners. Two benches will be donated by The Royal Hospital Chelsea and positioned either side of the Chelsea Pensioners’ monument to provide an area for quiet reflection and contemplation. A poem entitled “Battlefields to Butterflies” specially written for the ceremony by poet, David Thornton, will also be read out, followed by a bugler from the British Army’s Household Division band. Andrew Scattergood, Chief Executive of The Royal Parks, said: “Today, we have hundreds of gardeners and grounds staff maintaining our 5,000 acres of historic parkland. But 100 years ago, staff such as these would have been called away from their families to fight a devastating war, with some of them destined never to return. 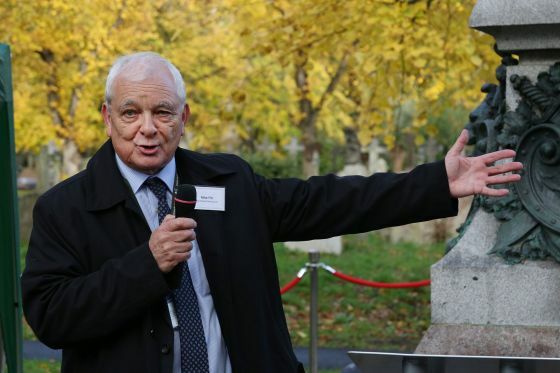 Mike Fitt, chair of The Royal Parks Guild, said: “We must never forget how The Royal Parks staff boosted the war effort. It is particularly poignant that former park keeper for St James’s Park, William Charles Gould, who died in 1915, is buried here at Brompton Cemetery, where this permanent memorial will be installed. The memorial service forms part of the “Battlefields to Butterflies” commemorative project, created by The Royal Parks Guild to mark the centenary of World War 1 through workshops and events. Central to the project is an inter-generational initiative, bringing together Chelsea Pensioners and parks apprentices to exchange horticultural and life skills. Carol Meacher is 81 and a retired head housekeeper from East Molesey, London. Her grandfather Arthur William Berry, who worked for The Royal Parks as a gardener, was one of the 24 Royal Parks staff who lost their lives during the First World War. “He was a family man and loved his wife and four children but he volunteered anyway as a gunner in the army. One morning an enemy plane dropped a bomb on a field in France and killed him and everybody he was with. “My mum was 10 when he was killed. It was 25 September 1918, 100 years ago. My nan would have loved to know that 100 years on my grandfather will be among those remembered at Brompton Cemetery. 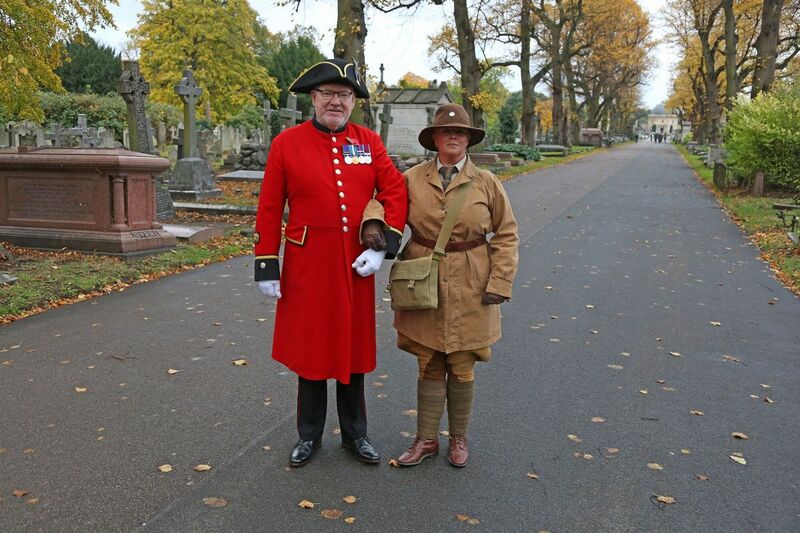 The Royal Parks and Royal Parks Guild World War 1 project been made possible by National Lottery players through the Heritage Lottery Fund’s First World War Then and Now programme. To mark the centenary of the end of the First World War, The Royal Parks and The Royal Parks Guild have joined forces to host a series of projects exploring the vital role the parks played during this period of history, running until June 2019.